I had mentioned a couple of weeks ago that we acquired a new full-size van from the university surplus over in Tuscaloosa. It had to be jump started when I picked it up. And the odometer was dead which also resulted in poor transmission shifting. You may recall that I swapped in the instrument cluster from my ’93 F-150 so we could take the van to the Jackson, MS hamfest. That worked. I then found a couple of youtube videos about repairing the odometer which is called the PSOM. It is a circuit board which mounts on the back of the speedometer. 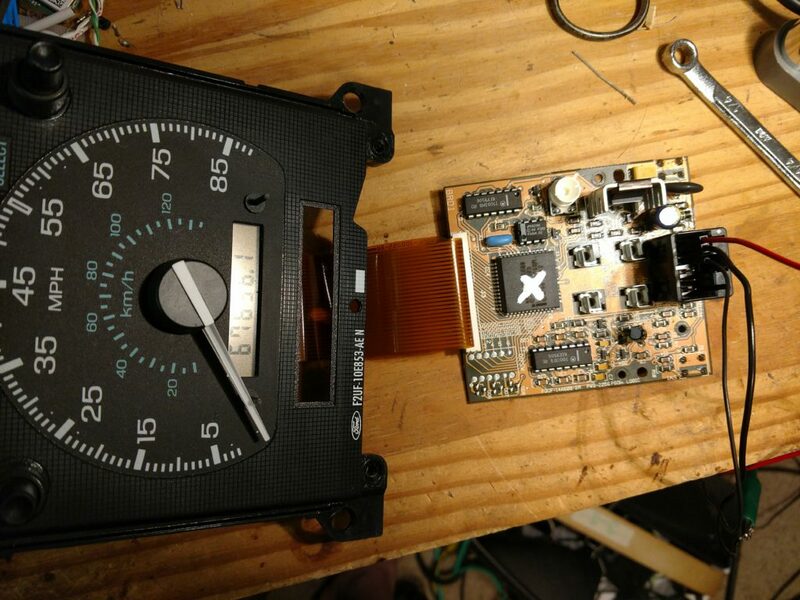 The speedometer itself is a little motor thing which moves the pointer, receiving a signal from the PSOM circuit board; no more “speedometer cable” like in the old days. The youtube videos talked about replacing some power supply bits on the circuit board. One of the videos even had a list of part numbers to order from Mouser Electronics. I did that and I got the parts swapped in. But the thing still didn’t work (this is the PSOM that came with the van). So I ordered a used one off of Ebay for 59.95 (or some such). It arrived this week. I was able to get some information about how the board is connected and that helped me figure out how to power it up on the bench. That way I could run it in the comfort of my chair instead of trying to poke at it while sitting in the car with my arms wrapped around the steering wheel. I had the working one and the broken one. I compared between the two with my multi-meter and discovered a connection was missing on the broken one. 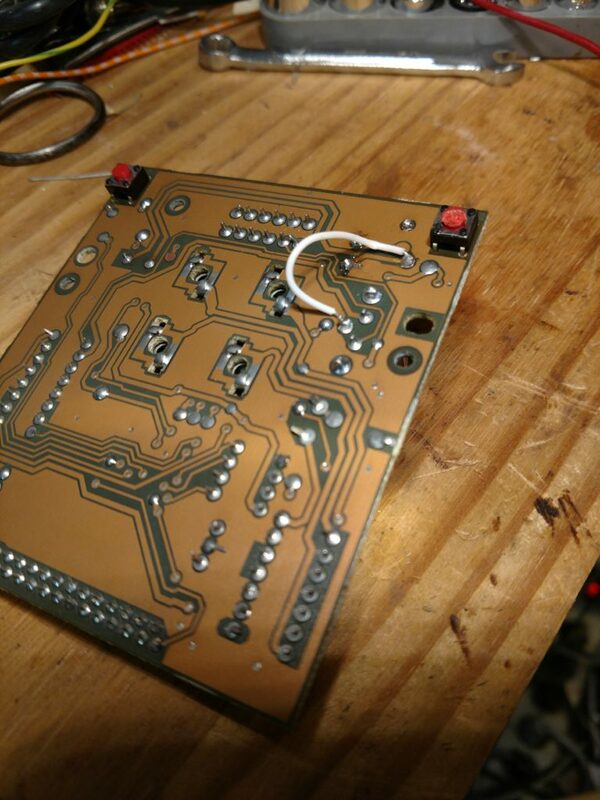 I soldered in a small jumper wire, and now the van PSOM works again! Yesterday I installed the van’s instrument cluster back in the van and the truck’s cluster back into the truck. I don’t know what I’m going to do with the spare I bought off of Ebay. Also, I created my own youtube video to add to the general knowledge, which might help someone fix theirs. The location of the jumper.